Game Info Quote : Build the ultimate transport empire! Take control of your own fledgling transport company, and use your engineering skill and business acumen to keep cargo and passengers moving - and keep the money rolling in! 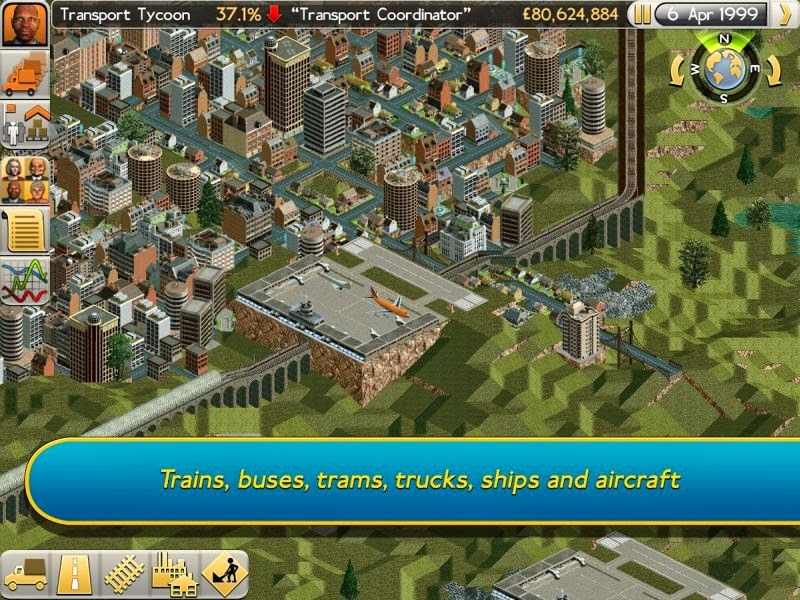 Transport Tycoon contains everything that made the original PC game an all-time classic, plus a whole host of brilliant new features - bigger, richer worlds, deeper simulation and a huge variety of land, sea and air vehicles. The intuitive new touch screen interface makes it easier than ever to build and maintain your transport network. 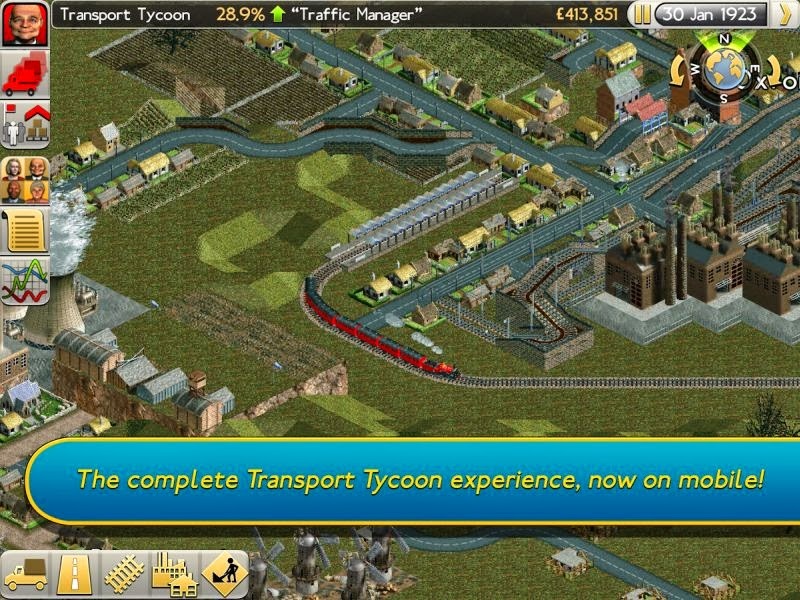 Whether you're planning and constructing ambitious engineering projects, or simply exploring the intricately simulated workings of the game's world, Transport Tycoon is your ticket to many hours of absorbing and rewarding entertainment. If you have a PC I'd highly recommend playing OpenTTD which is probably the best version of Transport Tycoon available!